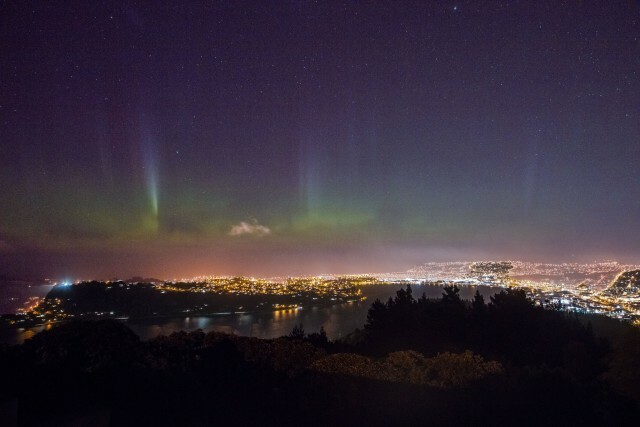 Aurora australis above the city of Dunedin, New Zealand. 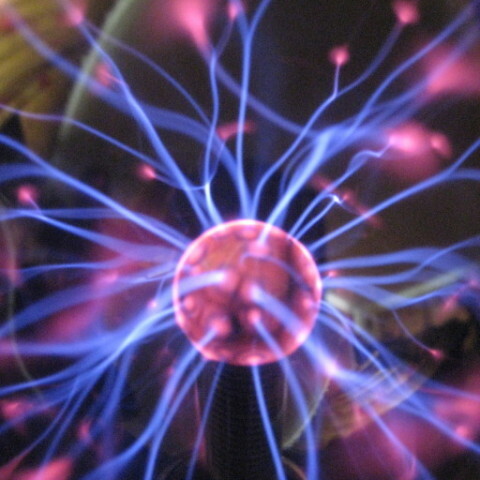 A coronal mass ejection caused good geomagnetic storms at the weekend, with particularly good sightings of the southern lights in New Zealand and Tasmania. 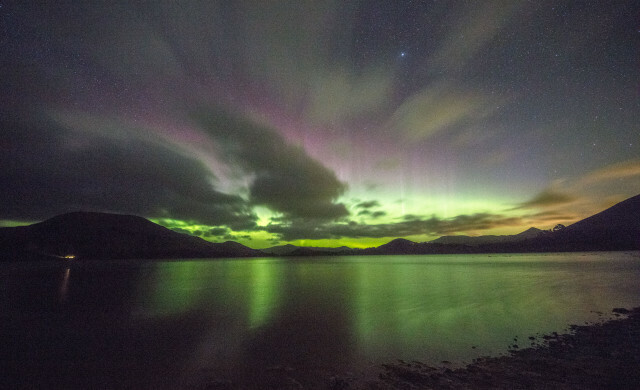 Ian Griffin from Dunedin, New Zealand, shares some of his pictures of the aurora australis. “These are images and timelapses I shot here in Dunedin on Sunday night during the Kp7 auroral event. Down here in New Zealand we are heading into winter, with the sun setting at around 5pm. With a good auroral event forecast, Sunday night (28th May) found me at my favourite observing spot in Papanui Inlet, on the Otago Peninsula (about a 5 minute drive from my house). I set up my cameras as the sun set, and almost immediately I could see a gorgeous green glow in the south. 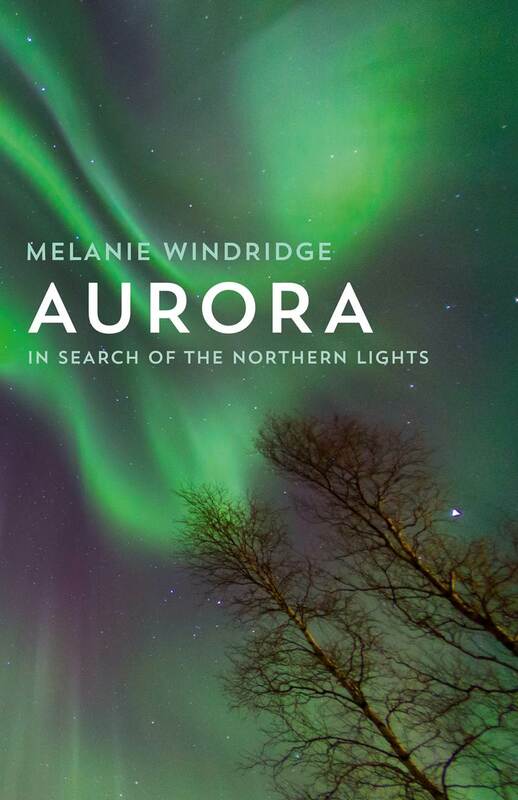 As the sky darkened, the aurora appeared to brighten and become more active, with some astoundingly beautiful green waves dancing across the sky. By 7pm with a dark sky, the view from Papanui was majestic, with purple beams and two intense arcs of auroral activity dominating the view to the South. However, just about this time, clouds started to appear, and by 9pm my sky was completely covered. Aurora over Papanui Inlet, New Zealand, with the clouds coming in. With auroral activity still going on, I decided to drive down the Otago Peninsula towards the City of Dunedin in search of clear sky. Luckily as I drove down the Peninsula the sky began to clear and I could easily see the bright aurora above the city lights. This is where I did something completely out of character. 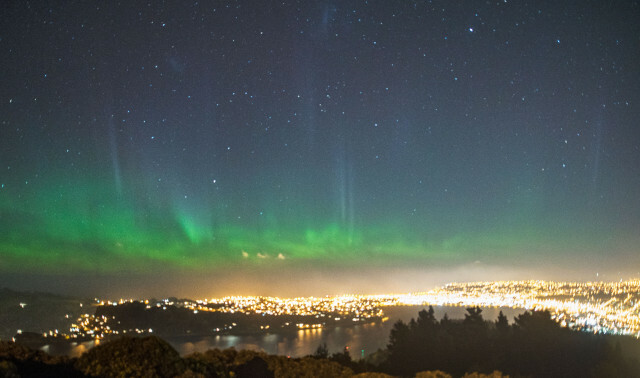 Students watching the aurora at Signal Hill, Dunedin, New Zealand. The southern lights dancing above Dunedin, New Zealand.